Click here see the full 2-day schedule! Ready to get registered for the event? Sign up Today to help out! About Rafting @ Swift Adventures! 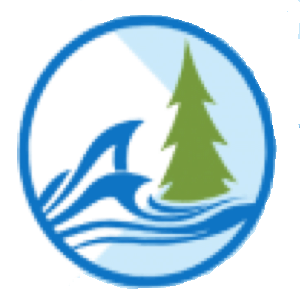 Paddlemania is an annual event where whitewater paddlers from around the region and nation come together to enjoy the beauty and the challenge of the St. Louis River. Paddlemania is also for those interested in getting into whitewater paddling and for those folks that enjoy watching whitewater paddling. Blast to the Bridge is a whitewater kayak downriver race. Watch expert kayakers paddle the steep and technical rapids of the lower St. Louis River through the heart of Jay Cooke St. Park. Best time wins! Watch expert paddlers, learn about whitewater kayaking, or get a team of four together for team rafting! 10:00am to 12:00pm Racer Check In. Blast to the Bridge: Watch expert kayakers navigate class III to IV+ rapids as they race down the lower St. Louis River to the Swinging Bridge in Jay Cooke St. Park. Best time wins! Racers can register here. Slot Machine Showcase Showdown: A narrow falls that can be tricky to negotiate without getting stuck in the bottom. Watch as expert paddlers take a gamble by either beating the odds and clearing the base of the falls or letting the house win by getting stuck. Team Freestyle Rafting Event: Get your team of four together. An experienced paddler appointed to you by the event Safety Team will steer your raft as you work together to obtain eddies, ferries, peel outs, and surf your way to points on the lower St. Louis River. Raft teams with the most points win their heat. There are only 4 teams per heat so space is limited, sign up soon! Swiftwater Adventures will be supplying the rafts and equipment and some of the guides for the Team rafting, the other guides will come from a pool of experienced paddlers appointed by the event committee. Some experienced paddlers will be bringing their own raft and teams. Everyone must register to race. © 2018 by Paddlemania: St. Louis River Rendezvous. All Rights Reserved.